Karen Hsu (徐瑞希), secretary-general of the Global Workers' Organization in Taiwan, the chief organizer of the program, told CNA that the initiative is designed to help migrant workers expand their skill sets. Hsing Wen-fei (邢文斐), principal of Kainan High School of Commerce and Industry, which offers teachers and facilities for the program, said the project, sponsored by the Indonesian representative office in Taiwan, started with Indonesian migrant workers only. Li Shi Qiong Zhi (黎氏瓊枝) from Vietnam, meanwhile, said she loves Taiwanese bubble milk tea and wanted to learn how to make the drink. 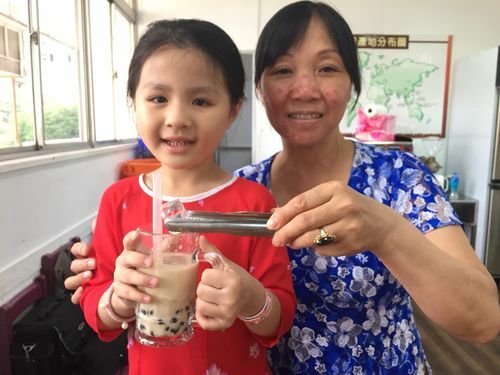 Jack Chang (張增鵬), the instructor of the bubble tea course, said he was deeply touched by their enthusiasm, which he said shows they are really eager to learn about making the drinks.